A Big, Hello, and thanks for your Time. Unique & New; a perfect Present for Christmas, compleanni, or for that Special Person, or occasion. All Designs can be Personalised with the Image, Sentiment, Font Style and Colour of your choice. Please Choose the size of Mug You would like to order, 6oz or 11oz. 1. Please Insert Image on Notes to Seller Section when you are checking Out. Image Quality must be at least 500 KB, but preferably over 1 MB (file size) for a High a quality Finish on your Mug. 2. 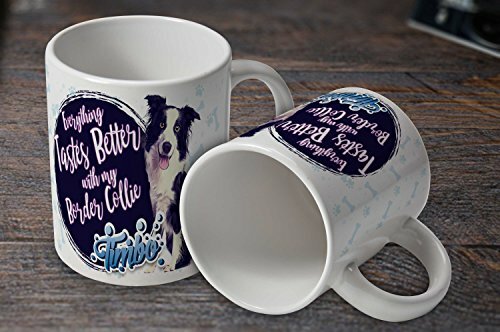 Please state The Name or Message You would like to appear on the Mug in the Notes to Seller with the exact Sentiment, Colour and Style of font required when you are checking Out. 4. Pay and We LL Do the rest. * note; Names and Messages will be Printed exactly How You Type them, SO Please check spelling ecc. * * note; DO NOT send a low Quality Image or mobile Screen Shot for this item as they will be REJECTED due to Poor Quality. We Will advise by email You IF your Image is of Poor Quality and unsuitable for this product. * * * note, that your Photo Colours May differ Slightly, due to different Screen resolutions. All Our Mugs are sent in Smash Proof Packaging to protect your purchase. Item (S) will be shipped Within 1 - 2 Business Days, After We Receive The payment. We Try To send all Items on the next Working Day Once The pagamento has been received. Once your item arrives in satisfactory Condition, please Help Keep Our Prices Low by giving US positive feedback.